Over 80 percent of trade show attendees have buying power for their company. Some 99 percent of marketers say that trade shows provide unique value for their business they could not get from other sources. It is safe to say that trade shows are a great place to market your business and build a list of qualified leads. But what if you are on a budget? At Conferences UK, we specialise in helping folks find the perfect conference venues for their trade show, but we can also help you keep your budget trim and enjoy a high ROI. Here are a few of our favorite tips for maintaining a solid budget for your trade show. Decide on a Venue First Your venue is your greatest expense. 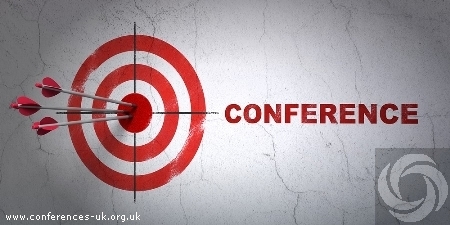 At Conferences UK, our talented team can find the ideal conference centre for your trade show. Some venues will waive rental fees for equipment if you would like to save costs on things like lighting, projectors etc. The key is to simply find the right space and be willing to negotiate. We can help you do that without going over budget--our service is 100% free to use! You will also want to determine the exact amount of space you will need for a successful event. Most conference venues charge by square footage, so line that up before you reach out to conference centres. DIY Your Backdrop Think outside the box, not everything requires a brand-name product to do correctly. Why not try out a DIY backdrop instead? They are fairly simple to put together and are extremely low cost. We dig these ideas on this Pinterest Section. You can make something like this from scratch that does not cost an arm and a leg but is also completely reusable. Bonus points because it is eco-friendly and ready for your next big event. Generate Interest with Fun Games Something as simple as a dart board and a few swag bags is enough to generate interest in your booth. You can save some serious cash simply by asking businesses you partner with to donate items to your giveaway bags in exchange for free promotion (e.g. they get to add their business card to the bag). Enter your audience into a drawing and watch as their eyes light up when they get their free swag bag. Tip Staff to Wear Your Logo Hit up bartenders, bellhops, and Uber drivers and ask them to wear a t-shirt or ball cap with your logo on it the day of your trade show. You will generate buzz around your trade show without paying much, if anything, for advertising. You can also put this into practice with other folks like wait staff in nearby restaurants. Start doing this a few weeks before your event to get the word out in advance. Keep it Simple Customers do not need a light show to enjoy your booth. Focus on what makes your product unique and then push that. A few tables, uniforms for your staff, and an inviting place to sit down and chat is all you need to capture the attention of qualified leads. This also allows you to flush out folks who do not particularly care about your product and are more interested in freebies. Hire a Flash Mob Sounds crazy, right? Who does not love a good flash mob, and if you can get them to literally sing and dance your praises, it is an effective way to draw attention to your booth. People will not be able to forget it and it will set you apart from other booths doing the same ole same ole. Plus, you can save money on design features! Opt for an Internet Sponsorship Instead of Paying Out of Pocket Some hotels and venues do not have the bandwidth to accommodate a large trade show. Research sponsorship options to get free internet access. You would be surprised how many companies are willing to partner with you for free advertising. Discounts = more money in your budget to spend on advertising, so it is worth the effort. Use These Guerrilla Marketing Tactics to Save on Advertising Costs After the venue, especially if you are looking for conference centres of excellence, advertising is the second greatest expense. You can save money on your marketing with these killer guerrilla marketing tips: - Be Funny and use ambiguity to pique their interest in your booth. - Use your social media to generate interest in your followers - Have an artist use chalk to draw your logo on walkways (if legal) For more marketing tips, check out this post. Book Accommodations in Advance for Discounts Save money on travel expenses by planning well in advance. Many hotels offer cheaper rates the earlier you book them and airfare are also considerably cheaper when you book it a few weeks out. Think smart, and plan ahead so you avoid last minute surge charges on everything. If you are headed to the Cotswold Conference Centre then check out some of these hotels for early bird lodging. - Wyck Hill House Hotel - Cotswold Grange Hotel - Holiday Inn Gloucester For more hotel options, check out Conference Venues UK. Find Affordable Labor (Or Exchange Advertising for a Discount) You will likely need a contractor to put together your booth. Why not offer them free advertising in exchange for their services? You could get up to a 50 percent discount on your booth set-up if you play your cards right. Stick around the Conference Venues UK blog for the best conference centres of excellence to choose from along with more trade show tips.